Life as a Blogger! Why I started, my tips and biggest recommendation! Happy Wednesday! Today I’m talking all about something I have been doing daily for almost 6.5 years now! This post is sponsored by Squarespace. I have an amazing deal for the first 50 readers at the end of this post! I also can’t wait to tell you about something I have been wanting to do for years and how I am now using Squarespace (the best way to build a beautiful home online) to do it finally!!! Let’s go ahead and rewind to about 6.5 years ago. I had just run my third marathon and was struggling from knee pain. I was used to running a lot of miles and dropped down to running 0 miles per week in order to help my knee to feel 100% again. The lack of running meant I had some free time open to start a new hobby. I decided to start Hungry Runner Girl. Oversharing is just a part of my nature so a blog seemed like the perfect fit for me—> ps when I was eight years old I created a newspaper (with crayons) that I would deliver to all of my neighbors each week. I had no idea what I was doing. I was also starting my blog back when blogs were not very popular or user friendly. I wish I would have had the tools offered by Squarespace back then because that would have made life a whole lot easier. After a few weeks of writing, I noticed that there were people commenting on my blog that I didn’t know. I was quite confused but it made me super excited to start making connections with people from different states that also loved running and food. I started leaving comments on their blogs and any other food and fitness blogs I could find. I loved the community that I found magically hidden on the internet. It was so fun to find other people like me that thought it was a great idea to wake up at 5 a.m. on a Saturday to run. I commented on Runner’s World forums daily and left my blog link there. I wrote bloggers to see if I could do guest posts for them and I built friendships with my readers by emailing and replying back to them. A few months after I started this blog (I wrote daily, sometimes up to three times a day) my brother sent me a book. I wish I still had the book but I read it in about 3 days. The book was about how to make money blogging. I had no idea that was even a thing. My brother believed in me from the very beginning (he still reads daily) and saw an awesome way for me to combine my passion of writing a blog and a job. I decided that THIS was something that I wanted to do. I loved what I was spending hours each day doing and knew it was something I wanted to continue doing for years. I continued to blog daily, reach out to different companies, do freelance work for free (i.e. Women’s Running etc) and with each year my paychecks increased. Right about the time that I had Brooke (2 years into blogging), blogging turned into a full time job financially for me. I felt very lucky with this timing because it allowed me to be with Brooke as much as possible while still taking care of her financially. It was an even bigger blessing for me as a single mom and now as a wife and a step-mom too! I typically spend 30 hours a week (including Saturday and Sunday) on my blog. I LOVE the amazing people I have met online along the way. I thought I would share a few of the tips I have learned from blogging! *Blog about something YOU are passionate about. People ask me if I ever have a hard time coming up with blog ideas and the answer is RARELY (and luckily I have a list of ideas to blog about when my mind is blank). I write about my passions and the things I love most. So I always have something to say, even after writing 3,742 thus far. *Consistency is key. My favorite blogs are the ones that are updated frequently. I am a little OCD about this one. As you have noticed, I do my posts at the same exact time each day. I think I have missed posting something a total of 2 days over the last 6.5 years. It took months of writing consistently before my blog really started to grow so stick with it! *Make sure to start out with the right platform… this will save you time and money big time! I learned this tip the hard way;) Try out Squarespace because using a solid blogging platform will make it incredibly easy to start your blog!! *PICTURES. I think especially now, we live in a time where pictures tell a story sometimes more than words even do. It’s fun to get a peak into somebody else’s life! *Host giveaways! I used to pay for every giveaway that I did (now I do sometimes) and that helped grow my numbers a bunch! Asking people to follow you on different social media channels etc to join giveaway helps a lot! I do not have an email list but I do know this is a very successful thing for other bloggers so ask them to join that too! *Finding a way to connect with others is huge! I think we are all searching for connections in some way or another and blogging allows us to do so. That is why I love asking you questions each day. I love talking about things we all struggle with and we all find joy in. *Thicken your skin a bit. This lesson took me years to realize but now my skin is thicker than ever. Not everyone is going to like us. A lot of people are going to think differently than we do. Just keep being you and stick to doing what you know is right for you. All that really matters in this life is what God thinks of us, how we feel about ourselves and how we are helping those around us. That’s it. *For my blog personally, being open has been huge for me. Being real and sharing the highs and the lows has brought a readership. The vulnerable posts where I am sharing the hard stuff (injuries, divorce, dating woes, blending family stuff etc) always attract people. No one has a perfect life and I truly don’t think people want to read about a perfect life. *Do things that make you feel uncomfortable, ask bloggers for you to be included in their blog somehow (turn in a Friday Running Accomplishment to me:) Reach out to others. I view blogging as an all-you-can-eat buffet… there is enough goodness for all of us so help each other! How do bloggers make money? I chose to build a bit of a readership before trying to make money! I think I added ads once I was up to about 5,000 unique readers a day. *Ads on blogs! I love working with AdThrive. *Sponsored posts! Once you get your numbers high enough as far as page views and social media channels go, companies will start reaching out to you (make sure your email address is easy to find). You will get all sorts of offers and choose wisely. I work with companies that I think are the best and that is it. This is my prime revenue source. I work through Mediakix. *Affiliate links! Amazon and Shopstyle are what I use! *Other social media channels. Working with different companies on your Facebook, Twitter and Instagram accounts! For years and years I have wanted to become a running coach! I am all signed up to take my first courses to do this and I cannot wait! I will make sure to let you know once I have all of the certifications that I need and we are good to go! I really want to work with beginner-intermediate women runners and help people to hit their goals and to be their biggest cheerleader (even though they might curse my name during some of the harder workouts;)! For this next adventure I want to do, I am using Squarespace to create my domain, website and online store! I am so excited to create a website with different training plans that I create and sell in my store and tips and motivation for my clients daily! I have worked with MANY different options when it comes to the online world and have decided that Squarespace is perfect for this! I am really excited to use Squarespace for my coaching website because they make design work incredibly easy for me. I have found so many different tools on Squarespace to create the perfect design for what I want to put on my coaching website. I have found that Squarespace is incredibly user-friendly (which I need because I am not a tech guru which is so important because I work online). It is ridiculously easy to edit and create your content on Squarespace! I feel like they truly make design accessible for everyone to create the perfect website for their needs and goals. I am also really drawn to Squarespace because of their customer service. They are available 24/7 to help which is huge. This is so important for me because website problems make me so frustrated and I hate when things aren’t working right… with Squarespace I will have someone to talk to right away to take care of any problems. I’ve also really been looking for a way to do a website/online store all in one place (which I’ve never had before and it is a big amazing change ha). Squarespace gives you the all-in-one platform that makes it so all you have to worry about is creating the content for your website. No worrying about installing software or security patches or going over your storage limitations etc… just upload your content and pictures and you are good to go! I have had so many incredible positives come from my experience with blogging. Even just the fact that I have a huge journal that I can look back and remember different parts of my life is incredible. I love that my kids and grandkids will also have something that they can look at one day (and probably wonder why I ran so much and ate so much candy). I am forever grateful that I decided to start this random website and the amazing things it has brought me! I can’t wait to start doing what I have been wanting to do for a long time with Squarespace to make it all so easy and exactly what I want it to look like! Ready to start your own blog? I recommend Squarespace. The first 50 readers who use offer code “HRG” will receive 10% off their first website or domains purchase!!! Any other questions about blogging? Let me know!! What social media platform do you use the most? Instagram, blogs, twitter, Facebook, Snapchat, other? If you are working right now—> How did you get into your current profession? Anyone thinking of starting a new website/blog/online store soon? If you start one soon please send me your blog link so I can check it out and I will post your blog/link on my blog in a post! 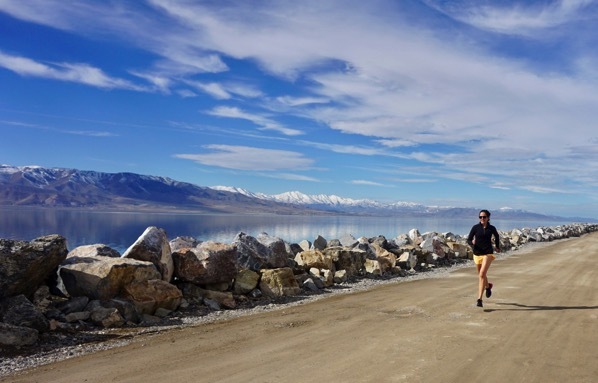 Running quotes I’m in LOVE with and Utah made me angry. Since we last talked + what I miss + do you have a strong opinion about this? I currently blog once a week (my posts are on Mondays), but do you think it’s better to blog more often than that. Obviously yours is daily or more, but I don’t really have enough readers to warrant that yet. I would love your thoughts and feedback! NATALIE!! Yay for blogging:) Your recent post was really beautifully written, I love how open you are. You are amazing. Be.YOU.tiful. Love it. As far as frequency of blogging goes, you have to do what is best for you and your life BUT I will say that I think that consistently writing throughout the week did help me to grow my blog. Having fresh content to read throughout the week did help! Let me know if you have any other questions! I’m a lawyer and a writer. For law, I went to school and took a test and that’s how I got here. For writing, I just kept doing it and putting it out there, submitting to newspapers, magazines, and now publishers. For every yes, I would get 15 no’s. Persistence is everything. LYNN!!! That is exactly what I love about blogging too! I am SO SO excited for your 10 miler and I hope you submit it to running accomplishments so I can post about it:) You’ve got this and I’ll take any blame I can! LOVE hearing about what you do for work and your persistence is inspiring to me. Thank you for sharing and enjoy the rest of your Wednesday! Hi there! I have read your blog every day for the last 2 years and I love it! I tried blogging a couple years back and it just wasn’t my thing but so glad I found yours to keep up with! I am very excited to hear you are pursuing coaching!! I wanted to wish you luck and know you’ll be an awesome running coach! I immediately caught myself saying I’m going to hire her when she’s ready! I could use some extra cheerleading and tough love for those hard workouts :) Wishing you the best from D.C.! P.s. 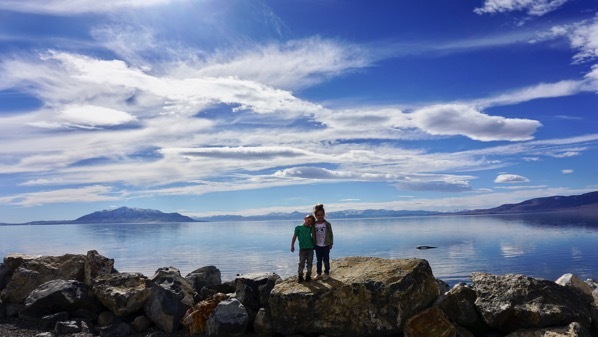 Your pictures make me want to move to Utah! 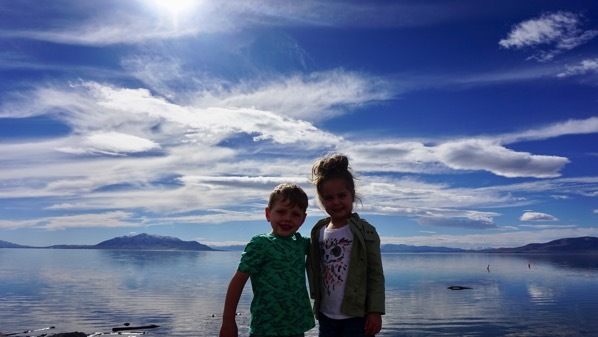 Her pictures make me want to move to Utah too!! Oh Monica!!! Thank you so so much for your sweet words! I would LOVE to work together:) I’ll keep you updated and you and Desiree need to come visit Utah! I love this post so much; thank you for taking the time to write it. It was just what I needed to hear today! 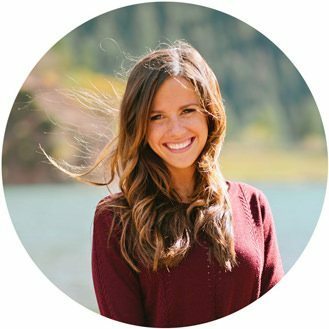 I recently started my blog at http://www.likeitsalwaysbrunch.com after years of college, random jobs, grad school, and three years at my current job being miserable. I always try to do what I think I should, and never really do what I actually want to. I have always loved, loved, loved to write and am very similar to you in that I could talk forever about the things and people I love. I’ve been reading your blog among others for years and have been able to relate so much to the things you talk about, and I want to do that for other people, too. I have so many ideas and feel like I just want them all to happen right away, but right now I’m just trying to focus on writing consistent content as much as I can! I really love the idea of my blog taking off and being able to do something similar to what you are – raising my future children at home while still doing what I love and contributing to our household income. So thank you for being such a huge inspiration to me over the years, helping me to get through some really tough things (breakups, eating disorder, job changes), and actually unknowingly giving me the final push to start my own blog! LOVED your post about ten things about you! I am all about the TV shows > movies too:) You are doing an amazing job, KEEP AT IT! You are doing an amazing job with your content and consistency! I really appreciate what you said, it means a lot to me. Let me know what I can do to help! 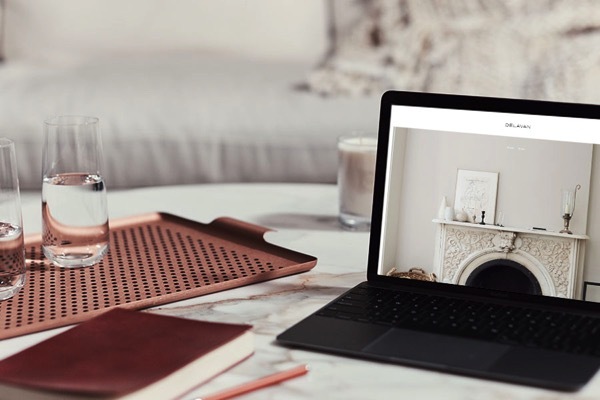 Squarespace is amazing – as a print designer who frequently gets asked to do web design, it’s a huge help (so easy) – you can create a great looking site and pass it over to the client with ease. I am curious to know what Template you use for your blog? Good luck with the coaching course – it seems like the perfect fit. HEY MEGHAN!!! So glad you love Squarespace too! For my coaching website I am using Bedford template from Squarespace and I LOVE it! Seriously, so easy!! Thank you and I hope you have a beautiful day! I’m super excited for you! After being a longtime reader I always thought it seemed like a natural progression for you to eventually become a running coach. I know you’ve had a lot going on these past few years and it sounds like things are settling down and you’ve found your next big journey – that’s so awesome! I know you’ll be great! And (if I ever get up the guts to sign up for another marathon) I will definitely be reaching out to you for coaching! I hope you love this next adventure, congrats! Thank you so so much Katherine for reading and I would love to work together and get you to another marathon! Super excited for you! Oh and I soooo agree with you about Instagram being so nice compared to lots of complaining on other social media channels! Okay, that clip was AMAZING! I loved it haha! I left a comment but it was under Andrew’s name! I love waking up and reading your blog daily – you are one of the few bloggers I follow that post daily and your is one I look forward to reading every day! Thank you so so much Bri for your sweet comment, it means a lot to me! Okay, the road tour… yeah that is going to have to happen! I would seriously love doing that. Thank you for the idea! I’m going to have to talk to Andrew about this! Enjoy the rest of your day! So excited to hear you are going to coach! I think you will be awesome at it :) I have a marathon in March but if you are in business by my next training cycle I’ll hit you up. I have been thinking a lot about getting some extra help with training. I currently do a Hal Hignon online plan and this training cycle is all about running with my daughter at her paces so she can do her first marathon :) It’s been a great mother/daughter experience! I’m in HR – went to school and got a liberal arts degree and have now been in recruiting/HR for about 20 years on/off as I had a different part time job when my kids were little. I love blogging although I don’t have a current one. I started one and loved the creative process, writing, etc. but felt time crunched between working FT, training and being a mom. This post makes me excited to start one again though! For social media I like Instagram best. I previously loved Facebook but all the political stuff made me depressed so I stepped away and just occasionally brows it now! Too funny – nice to meet you! I rarely come across anyone with my name – especially spelled the same way – but last week was flying to Houston and both the lady at the Delta counter in ATL and the lady at the Avis counter in Houston had our name!!!! What are the chances?! Thank you so much Elena! I would love to work together eventually and I am SO excited for your marathon in March! Please let me know how it goes! So cool that you are running together with your daughter, that sounds amazing! Thank you for sharing your career history! I love reading about what everyone does! Enjoy the rest of your day! I knew I wanted to be a teacher fairly early on but changed from elementary to high school in college and I’m so glad I made that jump! Now if only I could figure out how to teach English without grading essays! A running coach?! How cool! I am currently running a sub 4 marathon, but my ultimate goal is to run a 3:38 to qualify for Boston! YAY for high school teachers:) I made that same change too when I was in collage. I am SO SO excited for you to get that BQ!!! You’ve got this Marissa! I love this post! It has a lot of great tips. Sometimes you have to hear things more than once to realize it’s true and you need to listen! Ha! I write at least once a week, but I’m trying to get it to become a daily thing. It’s a lot of work! I started a blog because I wanted a place to share all my adventure photos. I love to run and hike, and the two take me on quite a few trips. I take a lot of pictures, I’m not a professional by any means nor do I currently have any desire to become one, and just wanted a place that I could share all these pictures. I also have an Instagram and a Facebook page linked to my blog. I like to focus more on my Instagram page though. Desiree!! First, your dog is beautiful and I love that you get to run together! Also, loved your Valentine’s Day questions and answers! Your pictures are beautiful and I think that is huge for blogging… We all love looking at pictures! You are doing an amazing job! OMG, you *need* to be a running coach. You’ll be amazing at it. If you don’t mind slow and out-of-shape people I’ll be your first client! Thank you SO much Memphis! I would LOVE LOVE LOVE to work together. I will keep you posted on when I start! Thank you and I hope you have a beautiful day! Thank you so much for your post – it’s so refreshing to have read something so honest! I’ve been reading your blog for a couple of months now and I love that it’s so different to any of the other ones I’ve read! Okay, first… your GoApe Adventure looked incredible! I want to do that:) I loved reading about what got you into blogging and CONGRATS on passing all of your exams (the first time too)! You really do get the best of both worlds and I am so glad that writing is therapeutic for you! Me too!!! Really exciting about the running coaching! I have been thinking about getting a coach. I just fished my 4th half marathon this weekend, and while it was a PR, I’m still not very fast! I guess you just have to try and get better with each one. CONGRATS on your 4th half marathon this weekend! WAY TO GO and you are so right… the speed comes with time! You’ve got this! Hi Janae! I have been reading your blog for years, and this post came at just the right time. I finally started my own blog after wanting to for years (growingfromthegroundup.com). I had been waiting for so long and then realized I should just go for it! When you are ready to coach, sign me up! You already coach so many people through your blog. You’ll be great. Thank you for your constant posts and inspiration! Thank you so much Jenny for reading, it means a lot to me! I am SO glad that you started your blog and I will SO let you know when I am ready to coach. Thank you and I hope you are having an amazing day! Thank you for sharing Janae! This has been very interesting/helpful. I started my blog three years ago, but it wasn’t until last year that I turned it in into a running blog. It was like starting all over again, but so far I’m LOVING IT. It is really my passion. However, I do struggle to take nice pictures of me running. How do you get your incredibly nice pictures? Specially when you go out running by yourself. Thank you!! Sure Nathaly!!! I am so glad that you have found your passion! Lately I have been taking the GoPro and that has made the picture aspect SO much easier! For the pictures in the above post, Andrew came and took those! I do a lot of selfies too and a lot of self-timer photos! Love what you said on your recent post about running being a sport of patience… SO TRUE! You are doing an amazing job on your come back to running! I love how supportive your family was from the beginning. I have a blog, but I didn’t feel like I was getting the support I wanted/needed from family and friends and it wasn’t growing like I wanted it to. So after 3 years, I decided to make it private and take some time off to see if that was something I still wanted to do with my time. Part of me would love to get back into it, but I don’t want to spend money on it if it will just fail again. Maybe someday! Thank you so much Jenny, I’ve got a great family! You keep doing what is best for you and your life right now! Let me know if it is back up again in the future, would love to check it out! Enjoy the rest of your day! I just started a blog in the fall. I started it to document training for my first half marathon in November, while being a stay at home mom with a baby. I decided to try and run my first full this April, so I’m currently blogging about that as well. My biggest struggle is readership as well. Sometimes I feel insecure about it all–I question if anyone ever reads it. The one thing getting me through it is knowing that my readership might hopefully increase one day. The pictures on your blog are beautiful! I am SO excited for your first full marathon and please turn in your running accomplishment so that I can post it too! Do not feel insecure! It definitely takes time and a lot of work (sometimes I look back on how much time I spent at the beginning doing all of the blogging/everything for free and I am amazed I stuck to it). I think to help with your insecurity, remember we all feel that way and it just takes time to build! PS loved your tips on how to get through a long treadmill workout, Netflix and rewards = help so much! Thank you SO much for responding! I truly admire you, so I was excited to see a response! :) I’ll definitely turn in my running accomplishment to you in April! I’m getting excited! I started reading your blog about 6 months ago or so, and one of the things I like best, is that you are so consistent with posting. I think it really helps build a relationship with your readers. Its nice to know that when I visit your site, you will have new content posted. Even if its just your daily eats and activities! 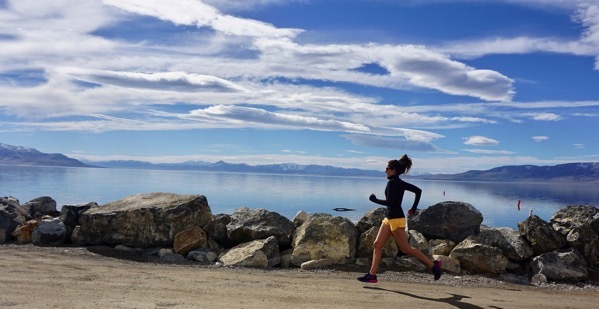 I enjoy seeing a glimpse into your life – running in beautiful Utah and days with your wonderful family! Its always a pleasure to read. Thank you!! I have considered starting a blog (as a SAHM, I think it would be a great creative outlet for me and even better if I could turn it into a potential source of revenue!) but I am a fairly private person and am hesitant to share too much about myself and my children. Do you struggle with this at all? Do you have any family members who are not comfortable being featured on the blog? Laura, thank you so much for your comment! It means a lot to me! YES, it really is such a great thing to have as a SAHM!!! I do have family members that don’t feel comfortable on my blog and I totally get it. Not a problem at all, I always make sure to ask people if they are in a photo or something if they are okay with it being on the blog. As far as safety goes I’m very careful about the information that I post (after 7 years of blogging) I have gotten pretty good at filtering the things to share and not share if that makes sense. As the kids get older I will be doing less about them too:) I think the biggest thing for me is making sure to always share the positive about different people on my blog. I never want this blog to be somewhere where I vent about different people in my life etc. I want to focus on the positives! Hi Janae!! I just love your blog and love how it’s a reliable peek into your day and your training. It inspires me to be nicer, have a good attitude, and look on the bright side. I’m currently a project manager at a financial technology group. I love it! It’s kind of boring at times but usually very busy which makes the time fly. I work with a ton of different people and am in charge of making sure all the right people are in the right place and generally driving the meeting schedules and deliverables as well as offering advice or escalating something when it’s not going well. I try to work with people to preempt challenges or frustrations so everyone else can move forward smoothly. I got into it because I was working as an analyst and found it really boring (ha) and also wasn’t able to use a lot of the skills I’m good at. I was the Vice President of organization in college and worked on a bunch of tasks similar to what I’m doing now and using the same skills and it was really the fact I was sticking out a bad situation with a good attitude and asking for what I wanted that I got to where I am. I feel very lucky and grateful for the lessons I’ve learned!! Zoe, thank you so much for your sweet comment! Wow, your job sounds awesome! I loved reading about what you did and what got you into being project manager at the financial tech group you are with! Your positive attitude and going after you want are amazing qualities to have. Keep up the amazing work you are doing Zoe! Thank you so much for sharing your tips! I’ve just started blogging – I thought about it for years, but I think I was scared of failing (story of my life lol). I finally realized that even if no one ever reads my blog, it’s still worthwhile because I love to write and am enjoying and learning from the process. You are welcome Christina! I am SO happy that you are blogging now and that fear of failure happens with everyone! SO glad you are writing now and James is SOOOOO cute! Thank you and I hope you have a beautiful day! Ok I love this post so much because these are such great blogging tips, I’m SO excited that Janae you’re going to start coaching, and also from reading these comments I’ve found so many new blogs to read! Christina I love your blog and you’ve gained a reader :) my 3 year old has been in an Montessori school since he was 4 months old, and I have a 7 week old who will be joining him there when my maternity leave is over. I knew very little about Montessori before enrolling him but now love it, and I love learning the ways your using the same methods in your home!! Your blog was one of the first I started reading in the healthy living space. Shortly after discovering healthy living blogs I was inspired to start my own. While I haven’t been as consistent as I would like (I went 3 weeks without blogging ones), it’s slowly grown into something I’m really proud of. I graduate with a personal trainer diploma in June, so I’m excited to be able to do online training. I’m so passionate about helping people meet their goals, I can’t wait to start doing it. I know it’s going to take a lot of work on the back end of my blog to make it happen (just like your coaching services), but I’m really looking forward to it. I totally agree with you, it’s cool how toy form relationships with people that you’ve never met before. With leaving comments and following people on social media it does feel like a smaller group of people. Oh thank you so much Fiona! CONGRATS on completing your personal trainer diploma soon, that is awesome!!! I am so excited for you! PS I am totally going to try out your 55 minute workout playlist that you posted! THANK YOU! Thanks for sharing! I used to have a different blog a few years back and recently started again – I missed it!! Something I love about blogging is there is truly room for everyone! Also I was curious as to the number of uniques needed to start to need ad revenue, thanks for sharing that! You are welcome, thank you Aimee! So glad you are back to blogging again!!! You seriously have the cutest dog and the picture of your pup in the sweater… I died! Love hearing your blogging story! I’ve always been interested in web stuff, which is how I ended up in my current career as a software engineer. It comes in very handy to be able to code all of my own stuff on my blog! Thank you so much Lisa! A software engineer… you are incredible. I bet that helps you out so much with your blog! The planner you are giving away is SO SO CUTE!!!!!!! when will you start coaching/when will that sight go live?? can’t wait to see it! HEY SHIRA!! My training begins in April and then probably by the fall I will have it all set up! Thank you so much and I hope you are having a beautiful day!!! What training are you doing? What courses?? Really enjoyed this post. I think one thing that I’ve had trouble with blogging is trying to come up with new things to write about each day. Do you have any suggestions as to how you think of topics to write about, or do they just come to you easily? Thanks so much for this post. HEY CASEY!!! Thank you so much! As far as content goes, I write my content based on the pictures I take throughout the day. The pictures help me to come up with topics and a story to write about. I also keep a list of topics that I want to write about to use anytime I am blank on what to write about. I would suggest slowly building up to daily writing (if that is your goal). Try 3 posts a week and grow from there and maybe the topics will come to you more and more easily. My brain is just on overdrive with things I want to talk about so maybe that helps too?! I feel like putting too much pressure on ourselves is hard when coming up with content, I think we all just love reading about other people’s lives, thoughts, struggles, triumphs etc. I don’t think each post needs to have a huge topic (for me at least… I rarely do that) but just expressions of what is going on! Does that make sense? I hope so! Enjoy the rest of your day Casey! Wow, that’s an exciting new adventure you are taking on! Ironically, I’m starting my first coaching gig tonight. I was asked to be a coach for a local running shop’s training program. I’m really excited about it!! Thanks for the info on your blog. 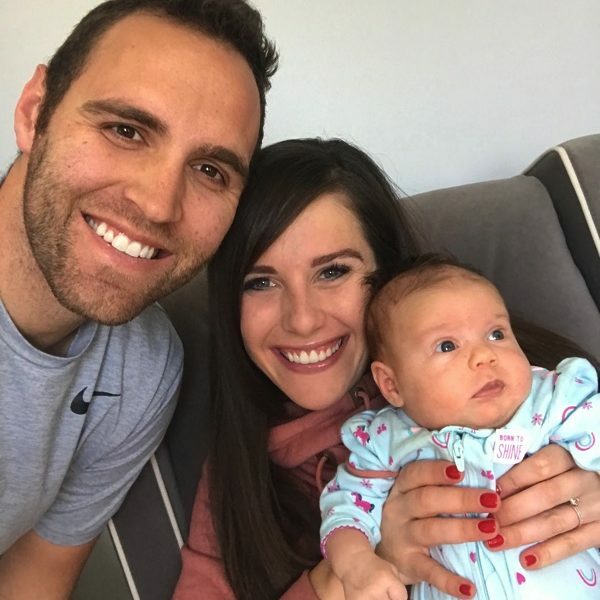 I started my running blog a few years ago, but I used to have a blog about my kids when they were babies, as a way to share information with my parents and save those memories. I don’t make any money on blog, but it would be great if it did – enough to cover my hosting charges! Either way, I enjoy writing and having conversations with other people. LISA, that is so so exciting. Let me know how tonight goes! We can swap tips and things we learn from our coaching! So glad that you enjoy writing and sharing memories! Loved your funny fail picture that you put in your last post haha… my phone is filled with those pics too! Keep up the amazing blog!!! Yay Janae that is so exciting! 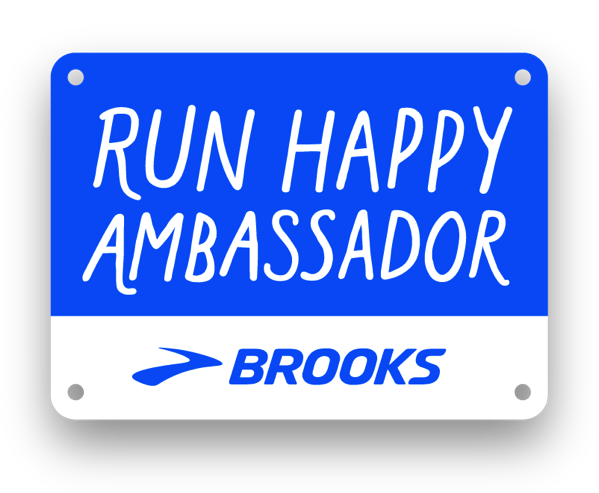 You will be a wonderful Running Coach and will help so many people with your amazing, positive attitude! Congrats pretty girl! Oh thank you so much Blaire, that means a lot to me! I hope you are having an amazing day! I’m a teacher – I blog for fun, but it has allowed for some exciting opportunities. I use twitter, instagram and Facebook. That is awesome Rebecca! It’s amazing what the blogging world has to offer and I’m so glad you get to do both blog and teach! Enjoy the rest of your day! It’s crazy to think how long ago we started blogging. I’m happy for how far you’ve come Janae and it’s been fun and interesting to follow your journey. I think my favorite platform right now is Instagram. Who doesn’t like pretty pictures? RIGHT!? It really is… I feel like I have known you forever Hollie and we have never met haha. We need that to change someday soon! HOLLY!! Thank you so so much for your sweet comment! Just checked out your blog and I love it! The pictures are amazing and I need that Tuna Sushi Stack! Also, the chore chart is awesome. Love that you are doing this together with your sisters! Keep me updated with how you are doing! such great advice. i know i’ve loved following your life and training from afar! Thank you so much Nicole for following over the years. I really appreciate you and I hope you are having an amazing day! Your blog was the first blog I ever read back in college :) It introduced me to blogs and lots of fun, sweet people online! I have only recently started my own blog…and it’s a great hobby for this season of life that includes graduate school for my masters in nursing. Jessica, thank you so much for reading over the years! The photography/pictures on your blog are STUNNING! Absolutely beautiful! Thank you so much and I hope you are having an awesome day! Yippee!! I want to be one of your running clients. Oh my gosh!! When I read that I got so excited!! I’m a beginner runner, slightly over 40 years old (but feel like 30), like to work out but don’t like running but I want to like running for all the same reasons you always talk about. What I also like about you being a running coach is the motivation you’ll give your clients! You may not remember but I emailed you a while back and you sent me the kindest, heartfelt response and I’ve read that email a few times when I need a little boost in my life. I have questions about that coaching: will the cost be reasonable? will there be different price levels? will there be any strength workouts? I can not wait to hear more about this!!! I wish you all the best in this new venture! I would love to work together Betsy! Oh I am so happy that my email has been able to help and THANK YOU for reaching out to me. As far as your coaching questions go, as far as I figured out now my prices will be very reasonable. For at least the next few years it will be more of a hobby/thing I’ve always wanted to do/help other runners. There will absolutely be different tiers of coaching, i.e. phone calls or text through the week along with a weekly plan or just a month by month plan. As far as strength workouts go, that isn’t my passion (it sure should be ha) but I will be including resources and videos for strength workouts to include with running for my clients if that makes sense. Thank you so so much! I’m a graphic designer. I have been doing this since college ahem, about 22 years now. I started in publishing working for the children’s publishing company Scholastic and then went into advertising and did that for many years before getting burnt out and finally decided to be a freelancer. I’ve been up and down in freelance life for the last 10 years with a few full time project gigs throughout. It’s hard when I am making so little money some months but I always end up finding new clients and pulling through. I think I intended to try to make money from blogging when I started 3.5 years ago but I never did pursue it. My readership is teeny tiny! Less than 100 unique visitors daily but I have 3 or 4 readers who I feel like I know because they comment frequently. I can’t stop posting because I love to blog so it’s just a hobby for now. Someday maybe I’ll try harder to monetize it. Thank you so much for this post! I started blogging to cope with some bottled up emotions and it somehow transformed into a motivational thing that got me to the finish line of my first ever marathon. I guess my question is, what do I write about now? I mean I’m not training for any big race — I’m actually not really running at all anymore (just working out and doing Crossfit :D). I’m pretty into Instagram and Snapchat as of late. Facebook has been a “no-go” since before November… but I do frequent blogs. I’m a math professor with a local university — so I have to balance my blogging with my research and teaching commitments. What an amazing way to cope… I completely agree, writing helps me a lot! I would recommend continuing to write about what you are doing NOW! Your thoughts from the day, your crossfit, your eats, things that make you happy. Blogs evolve big time so just because you aren’t running doesn’t mean you can’t write about everything else that makes you happy! WOW, a math professor… you are incredible. Hey Janae! 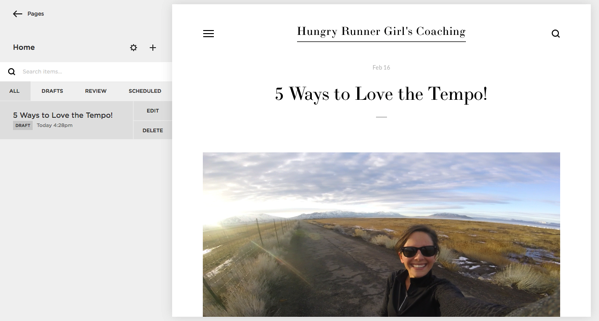 That is so exciting about run coaching and I love your blog tips! I started my blog about two years ago, but really have consistently been blogging since March this last year. I trying to learn how to grow my blog now and figure out all the ins and outs of blogging professionally. It takes a lot of work, but I love it! I don’t have an online store yet, but I may sometime in the future. Thank you so much Bethany! I am so excited! You are so right, it takes a lot of work but so worth it! Keep me updated on how it is all going and I loved your post about your 5 favorite workouts at home! Also, your little boy is the cutest!!! I will keep you updated Wendy, would love to work together! Oh thank you Mollie! I will share that post on here too:) Enjoy the rest of your day! I sure will Christine and I would LOVE to work together! I will keep you updated, thank you! Hope you are having a beautiful day! Thank you for sharing your blogging story! I’ve been a fan for a few years but I love hearing how everyone began their journey. Thank you so much Kristin, that means a lot to me! I cannot even wait for you to begin coaching!!!! Like. Seriously. Cannot. Wait. Sign me up:-) I’m training for my 7th marathon right now (but my first in 8 years, so it’s like starting from scratch…especially since in between I gained, and then lost, >50 pounds!) and can’t wait to submit my accomplishment to you. I’m running Boston to raise $ for an Epilepsy research fund at Brigham and Women’s Hospital in my nephew’s name…he passed away, unexpectedly, at age 22 from epilepsy complications. His dad (my brother) and family committed themselves to raising awareness and $ to fund research and a cure, but then just 9 months later my brother and niece died in a plane crash. The tragedy is beyond comprehension and stripped me to the core, but the one thing that helped was running again after a too-long hiatus. I’ll save the rest of the story for my submission, but just wanted to let you know that I have read your blog faithfully for years, but in the past 1.5 years, in particular, it’s motivated me and entertained me when I desperately needed motivation and happy distraction more than ever. So thank you. 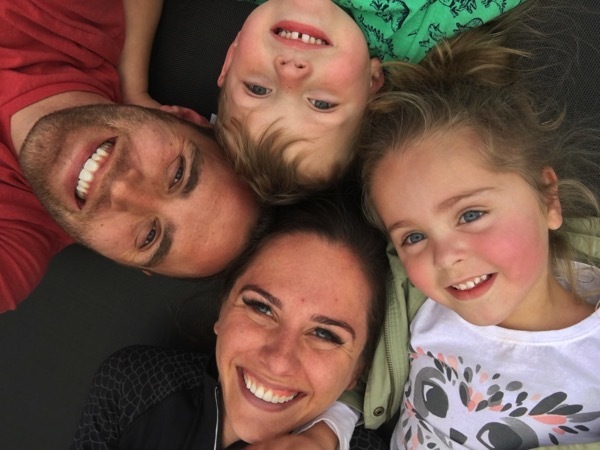 I also feel connected to your blog because my husband and I started vacationing in/around Park City when we first met…we continue to return and it’s such a special state for us. We LOVE Sundance, we love SLC, and Park City and Provo!! And, a few years after we first visited PC my brother and his family travelled there to ski & ended up buying a great vacation house at Deer Valley, which we have loved visiting! And then, a few years later, my nephew headed out there to attend University of Utah! Anyway, all of the spots you mention are so familiar to me, so although I live in Boston, I feel like I know the places you mention and keep track of the spots you recommend for our next trip out! xoxo. Oh thank you SO much Jeannie and I am so excited for your 7th marathon, please keep me updated! I CAN’T WAIT to post your accomplishment too and what an amazing foundation to raise money for, you are amazing. I seriously cannot even imagine what you and your family have all been through. I want to reach out to you and give you a big hug. Next time you are here can we please get together? We will go grab lunch at Sundance! Really liked this – having that first person to follow your blog that isn’t a friend or family member is UBER exciting! Yours has literally been on my blogroll for years and I’m amazed how you find the time to do it so consistently. Thank you so much Katie for reading over the years! Oh I totally agree with sharing things on FB… a huge audience can be reached by doing that! Hope you enjoy the rest of your day! This post is so helpful!! Thank you! Sometimes blogger posts about blogging can be a bit overwhelming but this was laid out so clearly. This is so awesome for you. I love the running info but also the randomness. My blog is a lot of random and family things. I work a part time job, blog and stay home with my daughter. Once my blog numbers get going, I’d really love to make blogging my only job. But I don’t have a nitch, or a thing, just random family stuff, haha. And I do product reviews with Amazon affiliate links. Which don’t make hardly anything right now, since I don’t have high viewing numbers, but it does earn me very cheap or free things for the time being. And I love testing things out and blogging about them. But I’m sort of choosey with the items I pick. My blog is http://everydaysnapshot.com The name started back when I had more time to spend on my love for taking photo’s and I took a million of my kid and shared with family. I did several years of photo 365’s, which is you take a photo a day for a whole year, so I was taking a “snapshot everyday”. Back then I was on free hosting and everything, I lost all that part of the blog due to problems they had, and had to start new with a paying host service with security and all. Those first several picture’s on this post are absolutely gorgeous. Stunningly beautiful. I swear Utah has got to go on my bucket list. I use mostly blogs right now, facebook a little only because that’s where it’s at, and I don’t even have twitter, Instagram or even a smart phone. I really appreciate you posting this info to help out us beginners. One day, when I make it to the big times (haha), I’ll pay it back and do a similar post. You have a great blog, with very likeable everyday content as well as great tips and facts for beginner runners like myself. What I like most about this blog, is that it’s stuff I want to read, and there’s no drama or negativity, it’s just so enjoyable. Okay, I am going to have to make the tie dye cupcakes that you made on your blog for the kids… they will love those! Also, the build a bear workshop is the best! Seriously, I LOVE the pictures that you post on your blog! I think random family stuff is the best! Seriously, keep blogging about the things you are passionate about! I love hearing about where your blog name came from! I am so sorry that you lost so much from the problems your hosting company was having, that is awful! Thank you for your sweet words, it means a lot to me! I always love your comments! Thank you and enjoy the rest of your day! Thank you for sharing all of these tips! You are an amazing blogger and I’m so excited to see your new website and learn about your coaching. I equally enjoy reading about your running, training, mom-ing, and life. Thank you for always being so open, honest, and inspiring! Happy running! MY DEAREST KATIE!!! Thank you so much:) I sure love you and wish I could run with you down in St. George:) xoxo ps are you going to Dogtown? Thank-you so much for this post!! I love your blog and have been following you for about a year now. I started contemplating a blog of my own last summer and was finally ready to launch about a month and a half ago. My blog is oatspeasbeansandbacon.com. I chose the title because oats, peas and beans are healthy but not fancy and they also refer to a children’s song (I’m a kindergarten teacher by day), and bacon is just awesome!! I really wanted to write about being an average working mom with teenagers, who loves to run. I would love for you to check it out! Thanks so much for all your inspiration?. P.S. sooo jealous that you get to run in such a gorgeous setting everyday!! Thank you so much Jennifer for your comments! I love the title of your blog… it is perfect! I love your pictures on your blog and the one of your cake (happy 40th ps) made me drool! Thank you so much for sharing and keep it up! Come visit Utah and I will come visit Ontario one day! Oh thank you Geena!! I would love to work together!!! I am SO in love with Instagram too! It is just easy and quick and the pics are beautiful! Your job sounds awesome and PERFECT for you! I am sure you are an incredible advisor! That’s so exciting that you are going to be coaching soon! I can tell from all the advice you share on here you are really passionate about it and would be fantastic! Reading about your experience with a coach has made me begin to think about getting one, even just for a little while. But the cost of a coach always makes me balk; I have been running lately just to be active but without any specific time or race goal. I would like to try to push myself a bit more but am worried I would not be able to stay accountable to a coach’s schedule. Any suggestions for how to convince yourself that the cost is worth it? And how do you make sure you can do what the coach lays out for a plan? Did you work closely with your coach to work around your other commitments? I have thought about starting a blog but don’t know that I would stay committed to it for long. I do really like that you post every single day; I always look forward to reading your blog posts during my down time throughout the work day. Thank you so much Emily for your comment! I really appreciate it! Yes, the cost is hard when it comes to coaching. For me in the past, I decided to use a coach when I REALLY needed the extra help/motivation/drive/had huge race goals etc. The cost was worth it to me because of the goals that I had! When I am running easier etc I didn’t use a coach so it just depended on where I was in life at the time! I am hoping to work with my clients on a week to week basis. I will change/modify plans according to how they are doing currently and what is and is not working with them. That is how it worked with my coach in the past and it was awesome! That is the beauty of having a coach I think, it is so personalized! Thank you and let me know if you have any other questions! Love your blog! I just started blogging at kristintroyrd.com. It’s all about nutrition with some exercise related content interspersed! Okay, the spaghetti that you posted with parsley pesto and the egg made me drool. We need to have that! Can’t wait to get some recipes from you! Thanks!!! IG is my favorite social media!.. Reason I read your blog daily::: You share the HIGHS & lows! Thank you so much Katie for reading, that means a whole lot to me! Oh I LOVE Instagram so much too!!! Enjoy the rest of your Wednesday! I will hire you as a running coach! Can’t wait! Oh thank you Maggie! I would love to work together! I’ll keep everyone updated! I love that your blog is “a day in the life” style. It is refreshing and real. I’ve seen other blogs turn in less personalized directions and I eventually lose interest. Even when you do a sponsored post you still add a personalized twist or relate it back to your life at home with the family or running or whatever! I really enjoy your blogging style, it is my favorite to read while sipping on my morning coffee =). I very recently switched jobs/professions. I was a manager at a bank (hey, Knox!) and am now working for our family business which is an explosives supply company. It is the complete opposite of banking and I am really enjoying the casual jeans-every day atmosphere. But there are definitely aspects of banking I will miss. It was my first job and I learned a lot of valuable things. I’m also excited to report I’ll be flying into SLC on 3/10 to go skiing in Park City for a week. My brother goes to the University of Utah so we will be spending time with him while he’s on spring break. 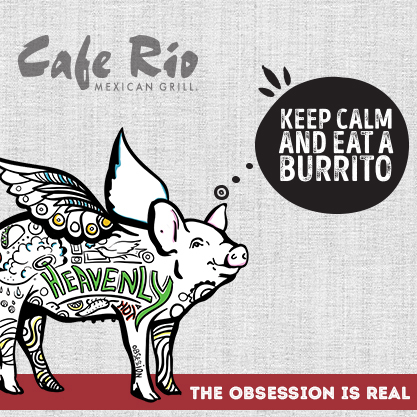 I’m also looking forward to getting my Cafe Rio fix! The closest one to me is in Virginia and I live in Pittsburgh. Thanks for doing what you do and being an awesome blogger/internet friend! Thank you so much Katelyn for your sweet comment! I really appreciate it! I’m glad I can join you for your morning coffee! HAHA Knox will be so excited to hear that a former banker wrote to me! So exciting that you made such a big jump and I bet the casual wear is so nice! Continued good luck for this new direction for you! AHHHH I am so excited you are coming to Utah! If you are in Utah County ever, let’s meet for Cafe Rio! The best! Thank you for being my internet friend! You’re going to be brilliant at running coaching. Best idea ever. Thank you Suzy! I am so so excited about this:) Love spreading the running love! I hope you and your family are having an amazing day and that it started with a killer run! Thanks for this! I might peruse this because I *used* to have two blogs wayyyyy long ago when blogging first started. Hello Blogspot ;) Anyway, friends and family keep asking me to return to it and I will eventually. Like you said, a platform is important! I’m not very tech savvy so this post is VERY helpful. I am a school nurse-worked in maternity and outpatient surgery for 15 years before switching to school nursing in 2008. (do the math, I am old!). Be a coach! I often think “how does she come up with those workouts? !” you’d be so fun. Of course, many of us would sign up. I have a feeling I’d want to mother you as a distraction from making me work hard though ;) sort of just kidding. I loved running on XC and working with a coach-it took the guess work out of the workouts for sure. HEY KELLY!! Oh yes, hahah I remember blogspot (I swear it shut down on me daily ha)! I hope that Squarespace is perfect for your return to blogging:) Oh that is AWESOME that you are a school nurse and that you have worked in maternity and outpatient surgery too! HAHA I need the mothering you could offer me in exchange with the killer workouts. It really is so nice to have a coach telling you what to do and not having to think about it! I hope your Wednesday is an amazing one so far! Thank you for sharing! This was incredibly helpful. I have been wanting to get into blogging for years, but unfortunately work full-time and don’t have the capacity to do so just yet. I currently work in communications, but also dabble in technology platforms, so would love to make the move someday! You will make a great coach! Will you only be working with people out of Utah? Hey Libbie!!! Thank you so much and I will be working with people all over. I am planning on working on beginner and intermediate runners!! Would love to work together. I hope work is going great this week! Thanks for the tips! I use Instagram and Twitter, plus I post on my blog, too. Like you, I’m grateful for the friendships that I’ve made through social media. Many times, I’ve had the chance to meet people in person that I’ve met through social media! I started my blog back in July when my husband started studying for his CPA. Its something I have always had a passion to do but thought WHO in the world is going to want to read what I do in life. But I thought even if just ONE person read my blog that would make me the happiest person and guess who was the 1st to follow me. . . my sweet hubby. In the midst of his business he was supporting me!!! I love seeing people reading my blog. I hope what I am creating can help others. My passion is to turn this into a career:-) So thank you for this great post today! And I am truly blessed to have connected with you, now to meet in person is the next step!!!! I like facebook but love instagram better. I love seeing pictures!!!! First of all, I have to say THANK YOU for your blog!! You keep me motivated! I have been following you pretty much from the beginning and love your blog! I know I do not have tough enough skin for such and endeavor. I use FaceBook and Instagram but am not a big fan of social media. I think people are living too much on line now days and not in real life. I hate it when I’m in public and look around and everyone is on their phone like a zombie!! I’m running the Phoenix half marathon this week and am super excited. It’s one of my favorite events. I’m headed up to your stomping grounds to see my daughter and her hubby at BYU next month. Kinda scared because it looks COLD!! Have a great day! Thanks for all your awesome posts! I use blogger for my blog but I never set out to have a huge readership or earn money on it. I use blogger as my platform. It is a scrapbook for my girls and basically only family reads it. I don’t update as frequently now and my in laws made a comment about updating more! But I feel like since it isn’t my job, I don’t feel obligated to stick to a schedule. It is just about my girls. I do tag some things that I think people might gain information from like my daughter’s rare disorder called FPIES (which she outgrew in the Spring), and her other GI issues. As for my career. I have always been interested in Special Education. My Dad passed away when I was 12 and he was in this career area but really I was influenced by a swim teammate who suddenly became deaf when she was 10. Our coach adapted the swim lessons to help her non-verbally understand and it just sparked an interest. I started out teaching in a Multiple Disability classroom (which is still the disability grouping I love the most), took a year off to have my first daughter, was put in a Developmental Kindergarten, then 3rd to 6th grade Autistic support. That position was tough, my students could be aggressive and so were some of the students in the school including 18 to 21 year old students. We all had to help when a crisis arose. After having my 2nd and with her medical issues, full time was just highly stressful and I wanted my time with my kids. I was so blessed to find a part time preschool special ed position. I travel to different preschool or daycares in my territory. It is different and I never knew this part of special education existed. I was 2 full days a week for 2 years and that was amazing and then they switched me to 4 mornings a week and 1 to 2 full Fridays a month so that I could see more kids since preschools are open primarily in the morning. It made sense but I much prefer the two days! It has given me time with my girls and my youngest is in half day Kindergarten so I still get to spend afternoons with her. But if anyone ever has concerns about their preschooler, look up your area early intervention or preschool special ed services. Early treatment is key and we treat anything from fine motor or sensory issues, social skills, to severe speech and language delays, etc.. The worst case scenario is a free evaluation and they don’t qualify. Awesome post! Even though my blog is in a completely different niche (travel/airline points/etc) the basics of blogging seem to be the same! Write a lot and write about what interests you :). Since my blog is new-ish hopefully the efforts start to pay off soon. Either way I started it with my brother and we’re having a lot of fun doing it. I love your blog! I cannot wait for you to complete your certification. Please let us know as soon as you are done. I read lots of blogs and almost never comment, but I after this post I just had to tell you that you are my favorite blogger! Seriously. This might sound like a weird reason but I really appreciate how open and honest you are about the fact that this is your JOB and you work hard at it. I just feel like so many lifestyle bloggers out there portray this ultra dreamy life where they are able to stay home all day and take pretty pictures of their kids and magically make tons of money without having to work. It probably sounds immature, but I always feel so down about myself and my inability to keep my head above water as a SAHM mom of four littles after reading those types of blogs. But I NEVER feel that way after reading your blog. I appreciate that you are able to find a balance between being real and being positive. You have a very authentic voice and I’m sure that’s one of the reasons your blog has been so successful. Anyway, thanks for being a bright spot on the internet! I am a full time Nurse Practitioner, wife, mother……and, in spare time a Blogger. I USE SQUARESPACE!!! I still have difficulty because I don’t understand the tech stuff and have limited time. But, I love it! I LOVE writing. Still trying to get the hang of blogging although I have been doing for a year. Starting March 1st, I am going to try to be a bit more consistent. I LOVE all the people that blogging has brought me in touch with. Plus, I have improved my running due to tips from blogs like yours! i love connecting with others and while i think social media often gets a bad wrap there is so much positive that can come with it if we utilize it in a positive way! thanks for yet another awesome post – i’m glad you pursued your passion and bring joy to people like me each and every day! Just wanted to say I love your blog and I look forward to reading your posts each morning! Hi! Reader since 2012 but have never commented – just want to say that I’m glad you’re still so passionate about blogging. I know there’s a lot of burnout in the community and I love hearing about how it’s something you enjoy vs. just a financial obligation. Your family seems so happy and it’s clear you work hard to make it that way. You seem to put your all into everything you do and I’m sure your coaching will be no exception. Looking forward into reading how it goes! I am so excited you are pursuing being a running coach! I’ve always thought I wish you did online coaching because I’d definitely use you!! Hi Janae, I have followed your blog for years! It is still something I look forward to reading daily. I was originally interested in your blog for the running insights. However, after having kids my workout regimen has changed drastically and Im now into more yoga, strength training and HIIT. 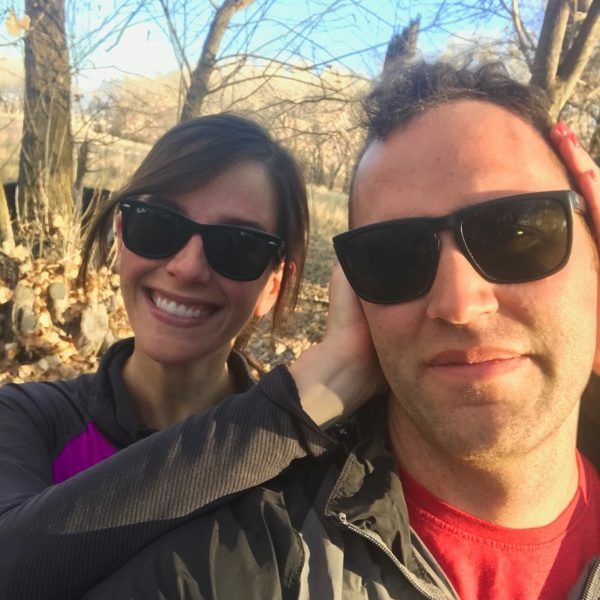 I was a distance runner and my husband is an officer in the Army (turns out it is pretty demanding of his time), and I just don’t have the free time (or alone time) to do those long runs anymore. I started a blog when I became a new mom 3 years ago to give myself something to do since I was staying at home with my baby. As she got older and we got busier I fell out of it. But then when we moved cross country from Hawaii to New York I decided to start again so our friends and family could follow our travels and it also gave me something to do since we were stuck in hotels for a couple months while we waited to find housing. Once we were settled I stopped again. But I’ve always had a passion for writing, fitness, my family and healthy eating so I decided I’m making it a weekly habit to post about anything related to those topics. So far it’s been a really fun outlet. ANYWAYS, all that to say here is a link to my blog https://lifeamidthemiles.wordpress.com/. We have an interesting life ahead of us where we will be moving overseas to SouthEast Asia every few years for my husbands job, so in the future I plan to integrate our family experiences of traveling and living overseas as well. Ok, that was much more long winded than I had planned :) . But I’ve loved reading about your life and watching it evolve over the years! You have a beautiful family! Thanks for sharing your tips, as a rookie blogger I find it so helpful getting insight from pro bloggers like yourself! I’m not sure if full-time blogging will ever be for me (or if it will be an option) but, as you said, it’s nice having a creative outlet and place to write your own thing. My day job is in finance and I write a personal finance blog, and even though it’s in the same wheelhouse I like being able to write so informally on my blog instead of keeping it professional all the time. I like the idea of doing a giveaway, it’s something I’ve considered but have never actually gone for it. Hearing that you had success with it though is keeping me more motivation. PS. Congrats on your new gig as a running coach…you’ll be amazing. I love your blog! It is something I look forward to reading each night. I so appreciate your consistency. It is one thing that I know I can count on at the end of the day. As a superintendent of schools in California, a wife and a mom of 3, it is so lovely to know you are “there” each night! My best running days I know are behind me, but I get inspiration from your tips and positive attitude! Thank you so much Stacey! I’m so happy I get to hang out with you each night over the internet!! That makes me happy to know! A superintendent and mom of 3… you are a busy woman! Thank you for your comment and enjoy your Thursday! Thank you so much for sharing this! I’ve been reading your blog for a few years and what I love about it is that you are very transparent. I feel like some bloggers are always sugar coating their lives with fancy vacation photos and event photos (which are lovely, btw) but they never discuss their hardships. I understand that not everyone wants to share too much of their personal lives but it seems like they’re trying to give an impression that their life is all fun and glamorous all the time. I like how you ask questions at the end of your posts and I really like how you actually respond to comments! Some successful bloggers forget about their readers once they make it big but I like how you still engage with us after all these years! Polly, thank you so so much for your sweet comment! It really means a lot to me. I am SO grateful that I feel like I get to chat with my readers each morning:) I love hearing what everyone has to say. Thanks for taking the time to write to me! I hope your Thursday is a beautiful one! I LOVE that you are going to start running coaching!! I’ve been reading your blog for years and think you’re just fantastic! Once you’re up and running I’d love to be one of your first trainees!!! Oh I would love to work together Erin! Thank you so much for reading over the years! I hope you are having a beautiful Thursday! Great post, Janae! I have been a longtime reader of yours, for all of these reasons!!! You are sweet and real and open and it is so refreshing!! :) You’re right: no one wants to read about a perfect life, it just makes you feel “less than” and it isn’t at all realistic. The real stuff, the good stuff, it’s what brings us all together. Keep being you!!! This is super exciting news! I’m currently in my THIRD round of physical therapy, but hope to be back to running sometime this spring and I can’t wait to see your coaching blog! I currently have a blog (HouseBailey.net) but I’ve kind of fallen off the map since I started struggling with a hip/back injury and gained some of my weight back over the last 18 months. I would love to pick it back up because, like you, I enjoy having the journal to look back on. I would love to get back into it, even if it’s never a full-time job. What is your best advice about growing your readership aside from posting on other blogs? I struggle with promoting myself, even though I know that’s what I need to do. Do you have any suggestions on how to tastefully market your blog? P.S. – I love your advice on sharing hard times as well as good times. Even though I hate seeing you go through them, your struggles have always helped me to remember that no one’s life is perfect and no journey is ever linear no matter how it may seem on the outside. Congrats on the new venture! HEY JODI!!! Oh I hope you are back to running ASAP! Hip and back injury… that sounds awful but I hope you are almost done with it all and that the third round of physical therapy does the trick! Keep up the amazing adulting you guys are doing over there. As always, thanks for all that you do for us! I love this post and I didn’t think I would since I never really see myself blogging, but I like reading and running. Thanks so much! I love this blog – it’s pretty much the only one I have read ever, and definitely the only thing I read every day, and I love how consistent your posts are! Thanks for being you and I’ll keep reading forever as long as you’re writing!! What running courses are you doing??? I have to say, this blog post couldn’t have come at a better time! I’ve just moved to Philadelphia and, as you know, moving to a new city can be a little rough. I’d been thinking about finding something to get me out and about in the city and joked to a coworker that I was planning on eating all the cheesesteaks in Philly. Well, he told me that I should blog about my experiences so that I can keep a log of places I’ve been and compare my findings. It’s really given me something to look forward to and a way to try to make this new city into my new home. My first cheesesteak review went up this morning and I plan on having many more to follow. So thanks again for the little nudge I needed to just go for it!